It’s hard to stay inside on computer when the garden is growing so fast- especially with all the rain we’ve had. Allium is a beautiful member of the onion family. It’s also a welcome addition to the garden when azaleas and lilacs fade. 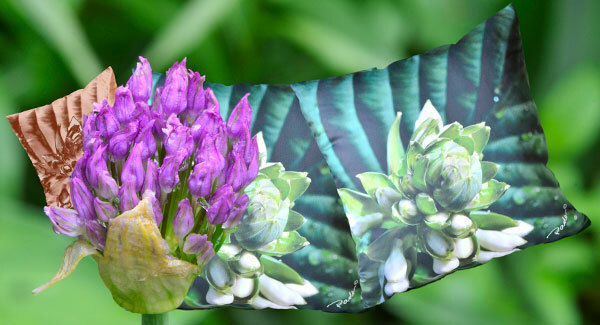 Alliums come in all sizes and shades- and they last longer than many flowers. Remember that when you’re shopping for bulbs in late summer as a fill for the “green times.” Just about now, the peony plants are three feet tall and bushing out. Tight buds will soon give way to the inevitable fragrant star of the garden. ( One of my favorites!) Mountain laurels haven’t done too well here but their buds will always remind me of pink peppermint ice cream. Rhododendron buds are the epitome of spring promise, fresh blooms coming. Iris have a strong showing this year. Remember them for their beautiful spiky mint green leaves- a welcome variant for the garden. 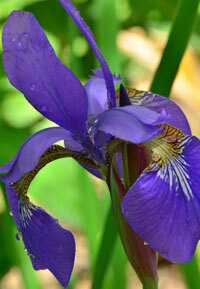 Happy to see the bearded purple iris, but I can’t wait for our new small Siberian flag iris. First year- from pods and they’re going to bloom! 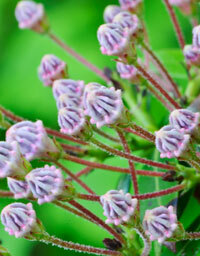 Sedum plants are just emerging and their color is also refreshing. 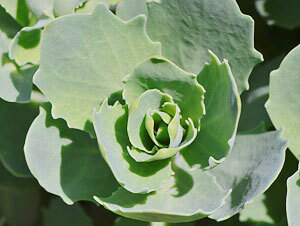 They look almost edible…like cabbage? The buds are up on the lace hydrangea bushes. Will we get blue snowball hydrangea this year? I hope so. I’d be a liar if I said I’m not struggling with my seed starters. I’m on the second round of basil seeds. So far, it looks like the various heirloom tomato plants want to live and bear fruit. Still got a long way to go to reach their second set of “real” leaves before moving them outside. That’s OK-Their beds aren’t made yet! I’m just starting to get ready for a garden show in Washington, CT on June 21. Stop by and visit! 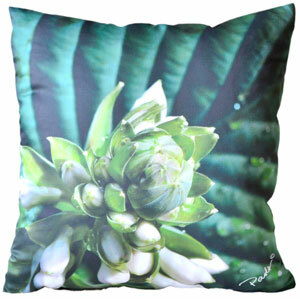 We’ll have a pillow display – All of our Paola Pillow designs will be on parade. But not before we ship out three next week. 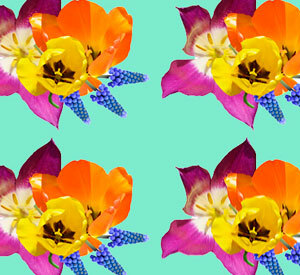 Just starting some designs using flowers that have just bloomed outside. Much more to work on before I’m ready to use any. Slow going. Former Scandal lead singer Patty wrote the song Sometimes Love Just Ain’t Enough with Glen Burtnik, who was a member of Styx at the time. Patty and Don Henley on vocals made it one of her big hits. This is cool video and great sound. I like the concept too. Sometimes love isn’t enough, and it can be a good thing to split up. Or change, or start over. Life is too long to live unhappy. Can we agree?